A remarkable 2nd semester for EMSPROTO ! 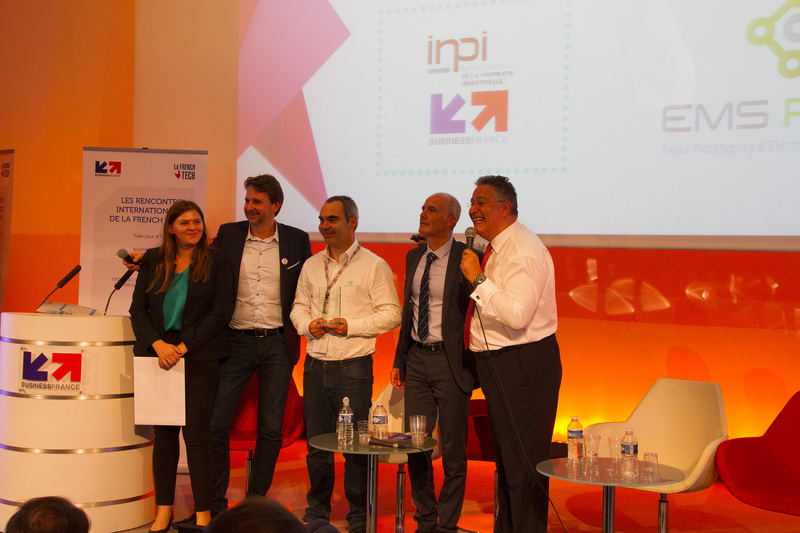 After obtaining the FrenchTech Pass last July, EMSPROTO wins the Trophy of “International du Numérique”. Organized by the IE-Club since 2003, this prize aims to promote innovative SMEs with strong international potential. The jury has selected 15 candidates from among 60 nominations.The 15 candidates were auditioned by a jury formed by leaders of ecosystem innovation(large groups, startups, investors, institutional) during one day in Paris. The variety of innovative solutions offered by start-ups has allowed us to appreciate the richness of our ecosystem. This trophy allows EMSPROTO to raise additional funds to strengthen its international development. 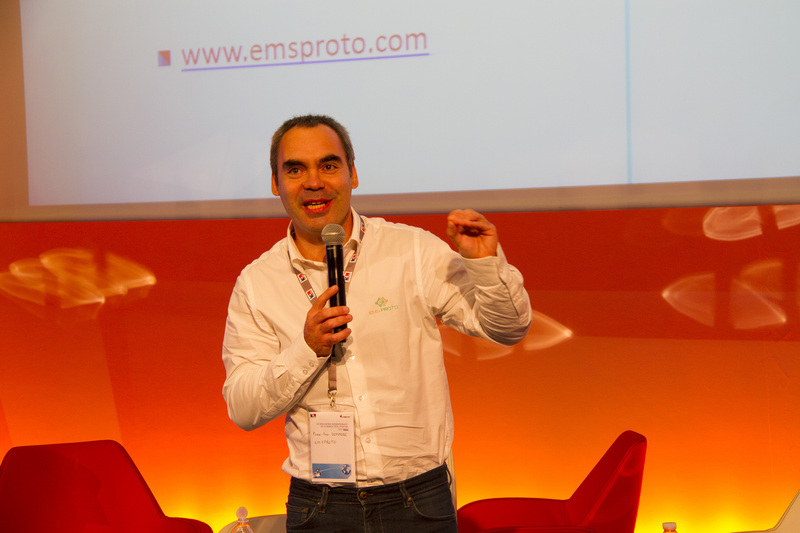 It’s also a support which will help set up to establish a long term presence abroad.Thanks to this distinction, EMSPROTO hopes to expand its European clientele already present in Germany, Switzerland, etc. 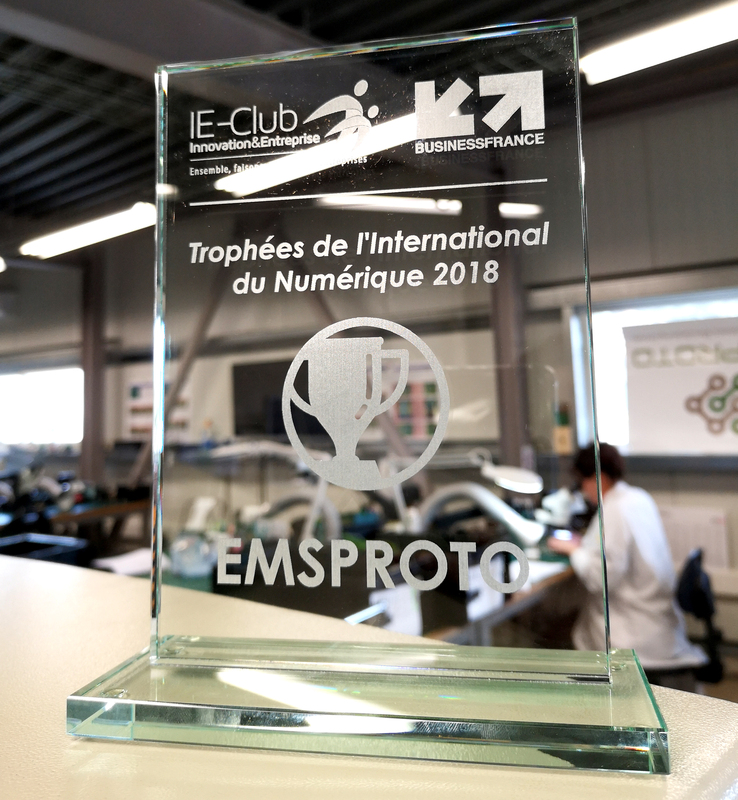 This reward falls perfectly well for EMSPROTO, who shall be present from 13 to 16 November 2018 at the largest European electronics trade show in Germany: ELECTRONICA – Munich.